An era of dominance continues. 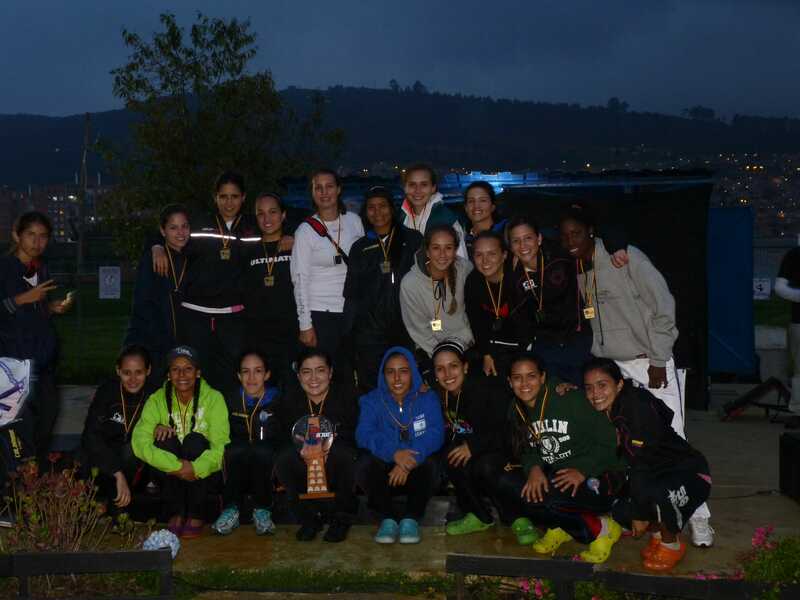 For the fourth year in a row, Medellin’s Revolution – one of the best women’s club teams in the world – took home a national title, cementing their place in Colombian ultimate’s history. The team, fresh off of a fourth place finish at the World Championships in Japan, never even had a scare en route to the finals. 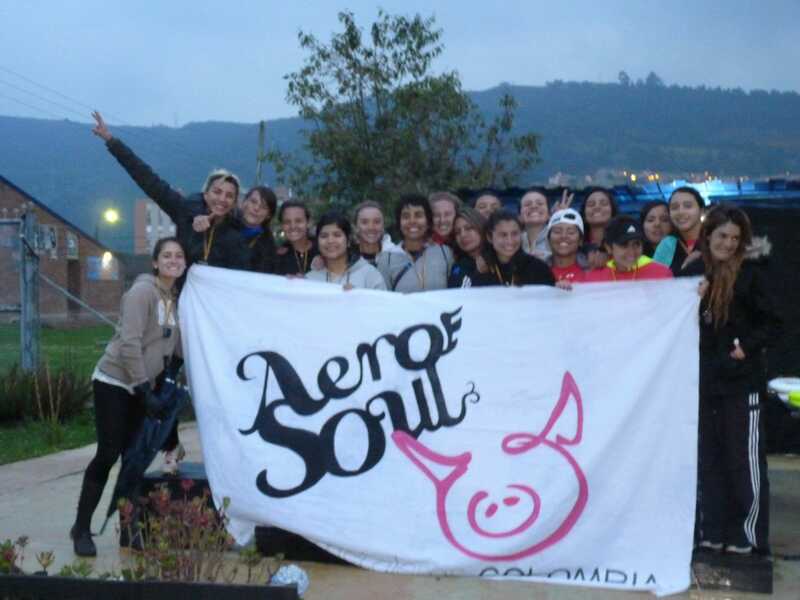 There, they faced a surprising Aerosoul team, who traveled to Boulder for the US Open in July. Aerosoul – hailing from Bogotá – notched a huge comeback upset in quarterfinals over their crosstown rival and overall two seed Bamboo. But Aerosoul’s momentum would run out in finals, as they faced a very tough zone defense and some of Colombia’s top players, falling 12-7. Revolution forced turnovers early and often against Aerosoul’s offense, and jumped out to a 5-2 lead thanks to stellar play from Yina Cartagena – widely considered Colombia’s top female player – and Elizabeth Mosquera. Cartagena and Mosquera linked up for scores five times in the game. Cartagena finished with seven assists, a score, and two blocks. Mosquera had six scores and three blocks, and added some huge skies on offense to maintain possession. Although Aerosoul’s defense was occasionally able to force turnovers, they couldn’t get past Revolution’s high pressure D after the turn. They never scored a single break. There were some bright spots for Aerosoul. Offensive line starters Camila Gonzalez, Maria Forero , and Melissa Moreno had strong games, contributing to nearly all of Aerosoul’s scores. Monica Triviño also notched two assists. But Revolution’s suffocating zone was trapping the disc on the sideline very effectively and not allowing Aerosoul’s handlers to get off swings. As Aerosoul got increasingly frustrated, they started looking deep more often, but the tall, fast Revolution defenders won nearly every battle. Perhaps most impressive, Revolution was playing without a full roster. Inder EPD, a youth women’s team from Medellin, was newly formed this year by the government, which supports and pays for the girls to play. Normally, their top players play for Revolution. Much of Inder’s roster played in Dublin at the World Junior’s championship this year, where Colombia took first place over the US. Even without their young stars, Revolution cruised through the tournament, never facing a major test. They will look to win a fifth straight title next year to earn a bid to the 2014 World Club Championships. Comments on "2012 Colombian Nationals: With Fourth Consecutive National Title, Revolution Now A Dynasty"